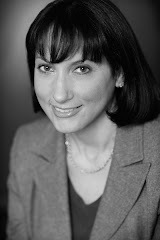 According to the Guide to Literary Agents blog, agent Diane Freed of FinePrint Literary Management "is looking for nonfiction projects in the categories of advice/relationships, spirituality, inspiration, health/fitness, memoir, narrative nonfiction, popular culture, lifestyle, women’s issues, the environment, and humor. Her fiction interests generally are commercial and literary fiction, including women’s commercial fiction." Entertainment Weekly (Los Angeles) "is offering a part-time editorial internship starting in mid-September. The position pays $10/hour and will last three months. In addition to office duties such as transcribing, interns will have the opportunity to write for the magazine and/or its website, EW.com." According to MediaBistro's job listings (you'll need a free subscription to access them), MediaBistro itself is looking for an "Essay to Memoir" instructor. "The Department of English at Pomona College seeks a distinguished writer of fiction for appointment to the Roy Edward Disney '51 Professorship in Creative Writing. Responsibility to teach creative writing and literature courses of one's own choosing; load negotiable. The Roy E. Disney Chair is a senior appointment; salary commensurate with rank and accomplishment." "The English Department of Willamette University invites applications for the tenure-track Hallie Brown Ford Chair in Writing. We seek a fiction writer of distinguished achievement who is dedicated to the teaching of writing and prepared to work with the department on developing the curriculum in creative writing. Substantial publication and an MFA or equivalent are required. The Ford Chair will customarily teach four courses per year and organize a series of readings and other events. Salary is competitive." "Penn State York invites applications for an Assistant Professor of English (tenure-track, 36 weeks)to begin August 2010 or as negotiated. Responsibilities: Teach creative writing (poetry preferred) and business writing (both intermediate and advanced). Administer undergraduate writing program and oversee writing tutoring. Secondary responsibilities may include one or more of the following: teaching introductory and advanced theatre arts, philosophy of literature/literature of philosophy, American literature after 1865, and/or introductory composition; and/or supervising student literary magazine." "Western Michigan University invites applications for a tenure-track academic year position in Creative Writing (Fiction), to begin December 14, 2009, at the rank of Assistant Professor, pending budgetary approval." New England Law (Mass.) is looking for a Publications Writer/Manager; Smith College (Mass.) seeks an Assistant Editor; and Rutgers (N.J.) is looking for an Editor/Writer. Editorial internship at Entertainment Weekly. That one sounds like a plum! Yes, I thought that sounded pretty cool!